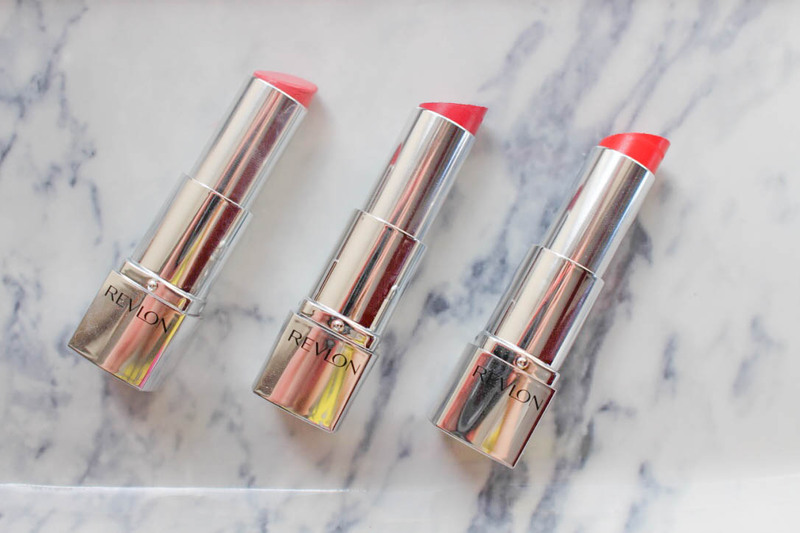 If there is one thing that Revlon do well, it's lip products. I was absolutely obsessed whenever the ColorBurst Matte Balms were released, so whenever the Ultra HD Lipsticks were released a few months ago, I knew I had to give them a go as well. There are currently 14 shades in the range, all of which are mainly brighter shades with the exception of 'Rose' being the closest to anything neutral on offer. However, the majority of the shades that I have seen are absolutely stunning. One feature I like about these lipsticks are how they're all named after flowers to match the shade, I think that's so cute! 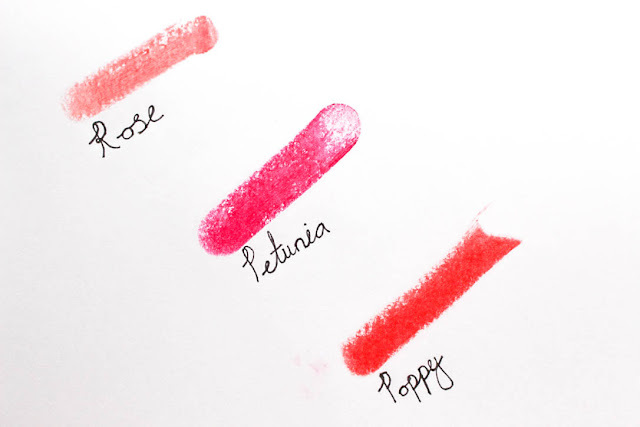 I picked up the shades 'Rose', 'Petunia' and 'Poppy', all of which I'm completely smitten with. 'Rose' is a pretty soft pink shade, 'Petunia' is a stunning hot pink shade and 'Poppy' is the perfect post-box red shade. 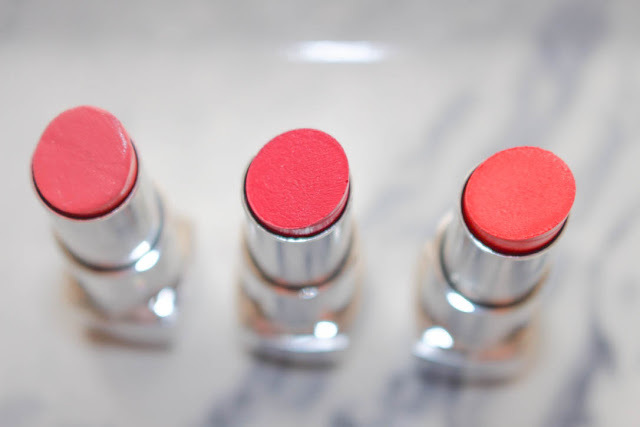 Shade range aside, the actual formulation of the lipsticks are so on point. They're not matte or glossy as they have a buttery, balm like finish which is perfect for day and night. They apply like an absolute dream, the application is smooth, lightweight and comfortable, much like a lip balm, yet they don't skimp on pigmentation as every shade is buildable and long lasting. They're also extremely moisturising as well, so there's no need to worry about them drying out your lips. I also love how they smell and taste as well, kind of like sweets, if you don't mind lip products being scented or flavoured. Plus, at £7.99 each, they're not going to cost the earth. 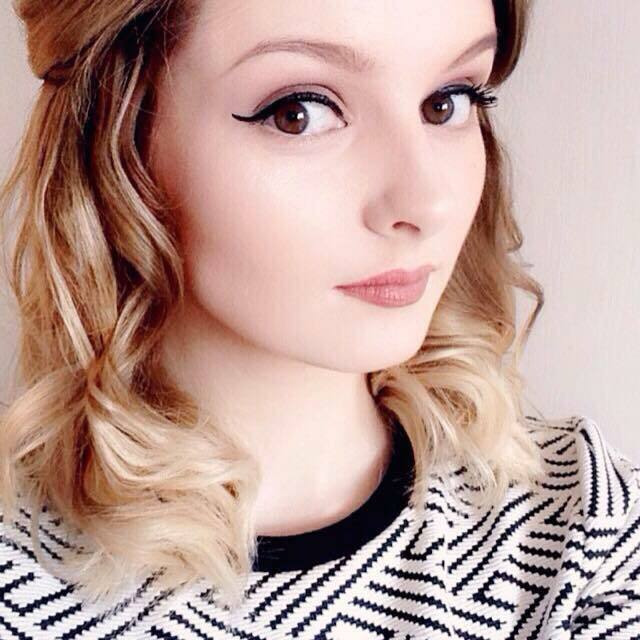 I can't really fault these lipsticks that much other than they do transfer really easily, but that's nothing a little bit of lip liner before application wouldn't sort out. I really hope they release some more neutral shades some time soon as well, I think they would be gorgeous. Saying that, I also have my eye on the shades 'Peony' and 'Hydrangea'. 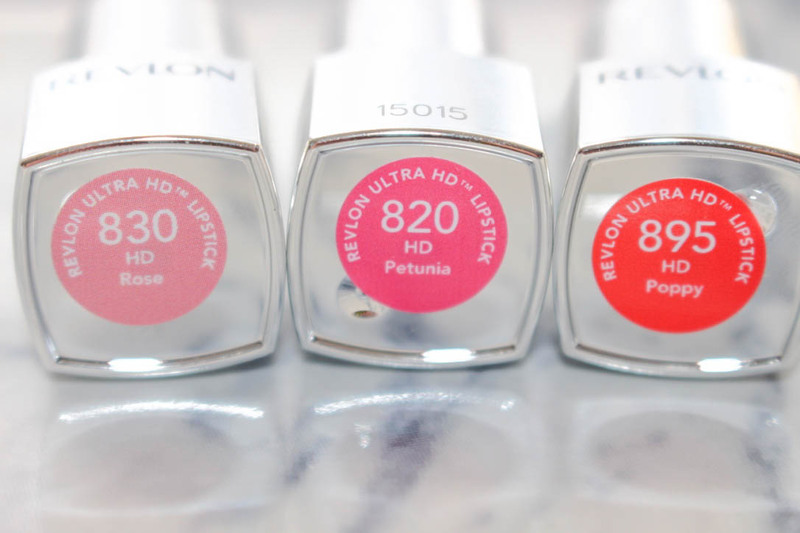 What do you think of the Revlon Ultra HD Lipsticks? What are your favourite products from Revlon? Let me know in the comments! The shades are so pretty! I love how they are all named after flowers! Those shades are super beautiful! I will need to check these out! petunia looks so good. 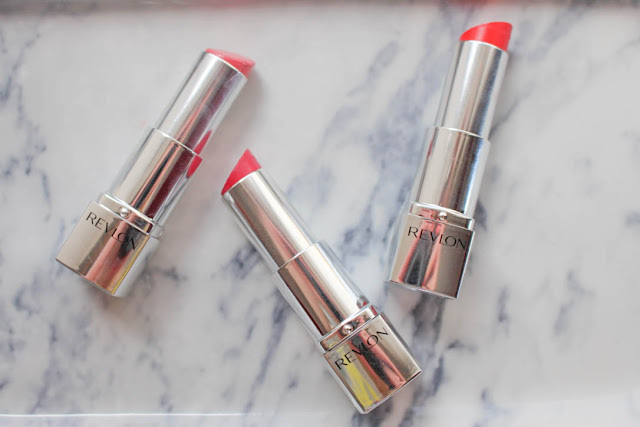 such a perfect summer shade. Love these colours. 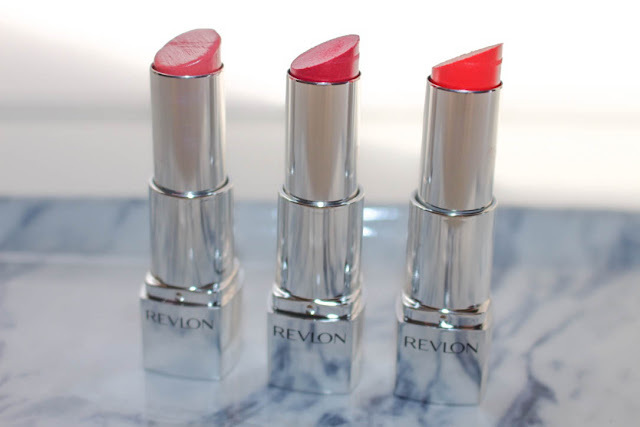 Lipsticks are a must for an everyday look! !